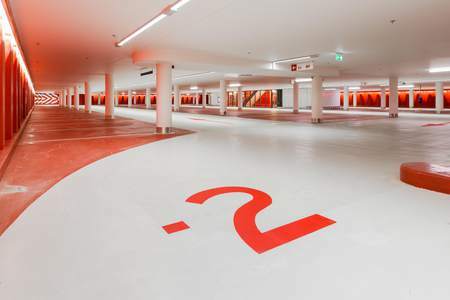 The exceptional parking garage in the Dutch town of Katwijk is an integral part of the town’s new water defence system, protecting the town against the North Sea. 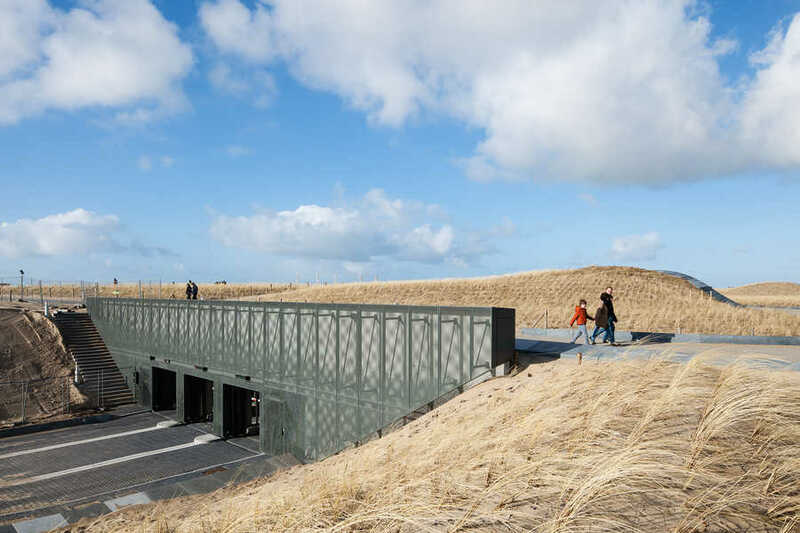 The garage is situated behind a new dike and is located underneath a natural dune landscape. 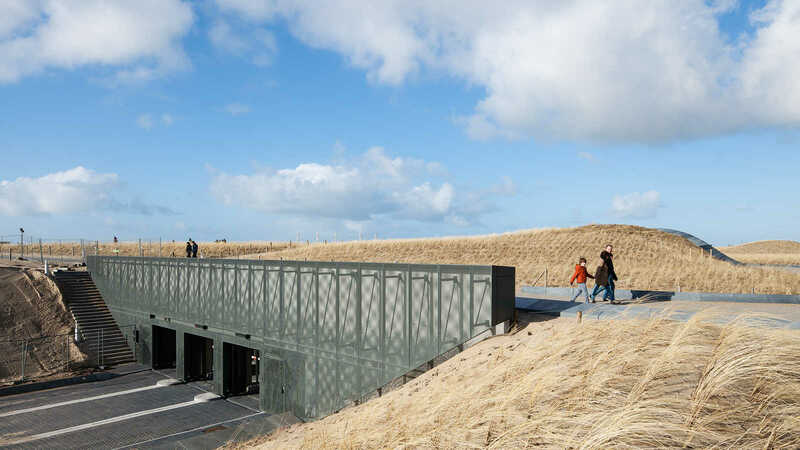 Integrating the parking garage with the water defence system not only protects Katwijk from the Sea, but also offers the tourists an opportunity to park directly near the beach. 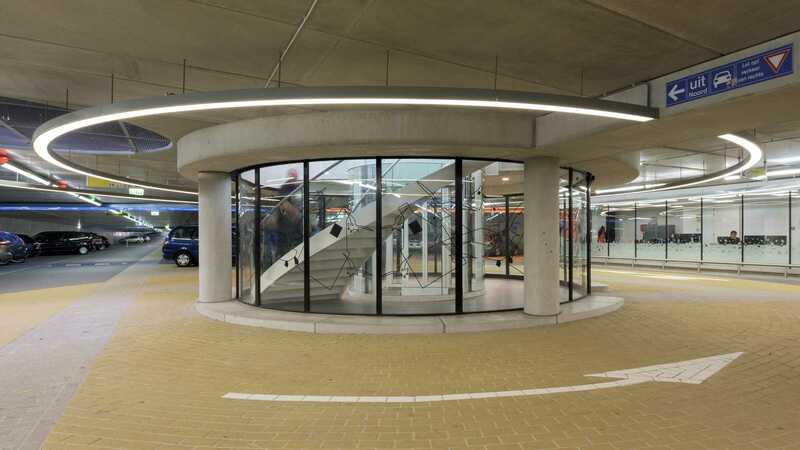 Commissioned by the city of Katwijk, Royal HaskoningDHV drafted the architectural design of the parking garage and translated this into a thorough master plan. 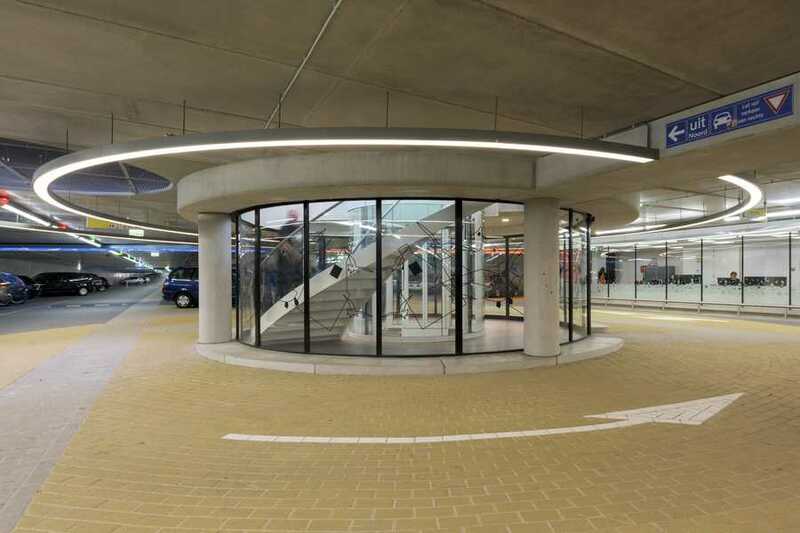 Based on this master plan, Ballast Nedam and ZJA Zwarts & Jansma Architects drafted the integral design (architectural, functional, structural and building services) for the realization of the parking garage. 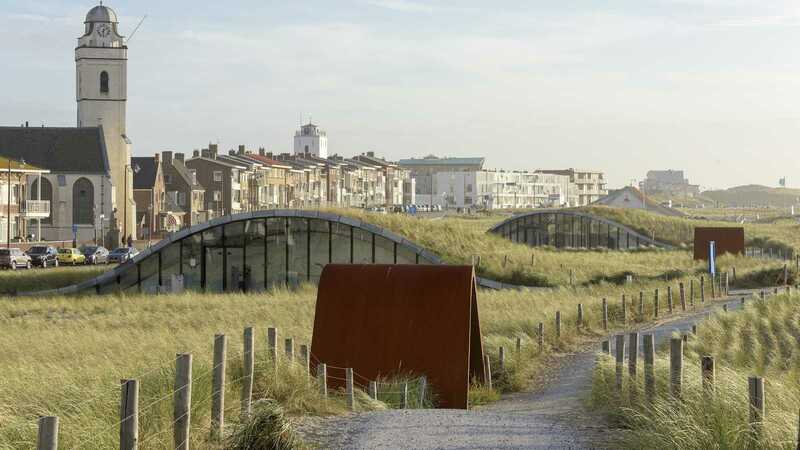 Special attention was given to the integration and materialisation of the entrances in the dune landscape, as one of the main principles of the architectural masterplan and the public domain, which was designed by OKRA Landscape Architects. 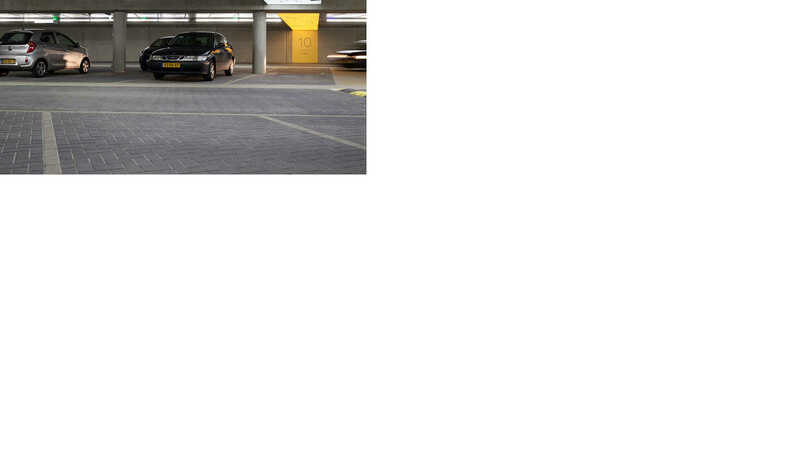 The garage has a capacity of 670 cars, which enter and exit the complex at both short ends. 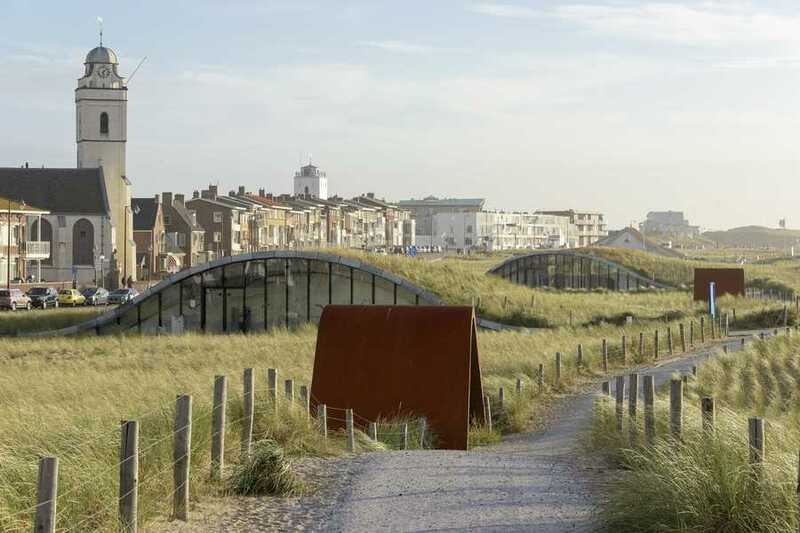 The upper dunes have a network of paths, which connect five pedestrian entrances with the town and the beach. 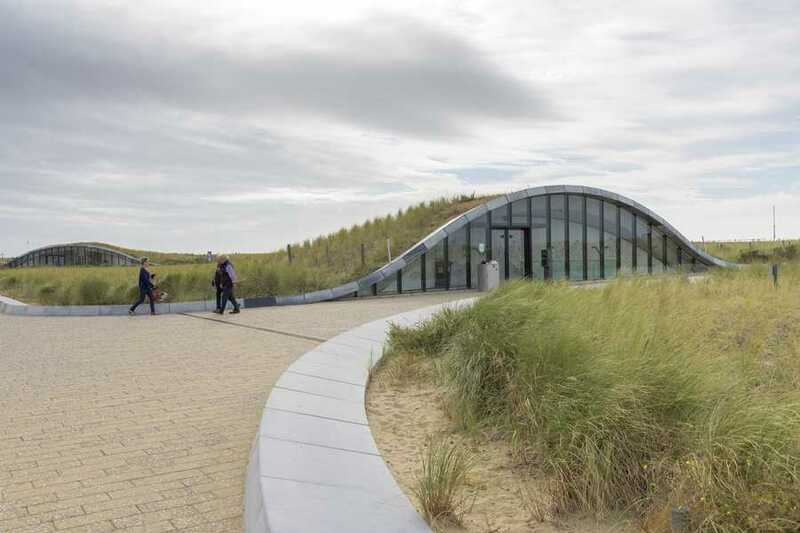 The five pedestrian entrances are harmoniously integrated with the dunes. 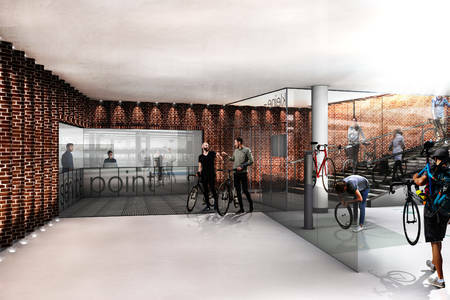 This was one of the major outlines, which were set out by OKRA landscape architects. 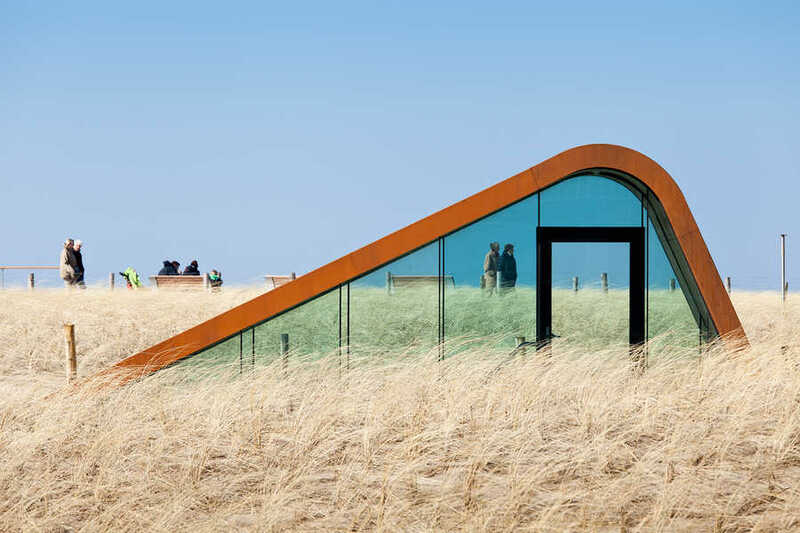 At the entrances, the dune landscape is lifted to create an obvious entrance, allowing the landscape an uninterrupted flow over the roof of the entrance. 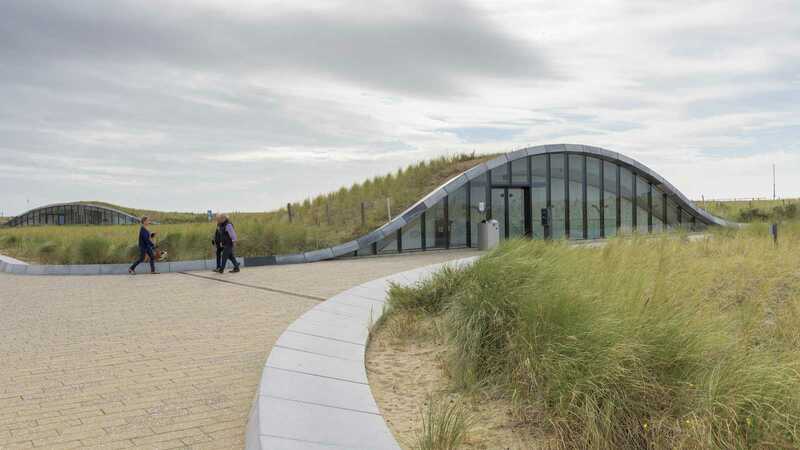 This gesture not only ensures that the character of the dunes stays intact, it also provides for the vital admission of daylight into the underground parking garage, benefitting the orientation within the parking garage. 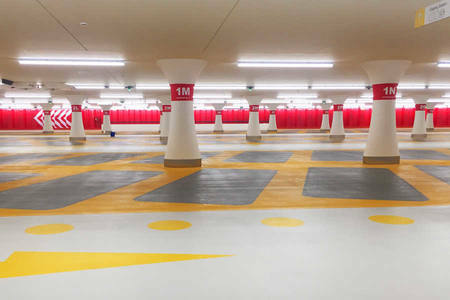 In the design, the underground car park is considered as a high-quality public space. 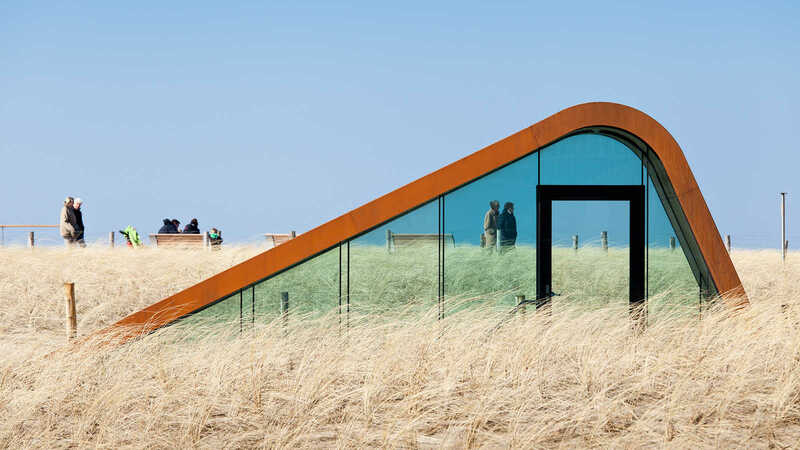 This is subtly achieved by using a pallet of sturdy, yet qualitative materials. 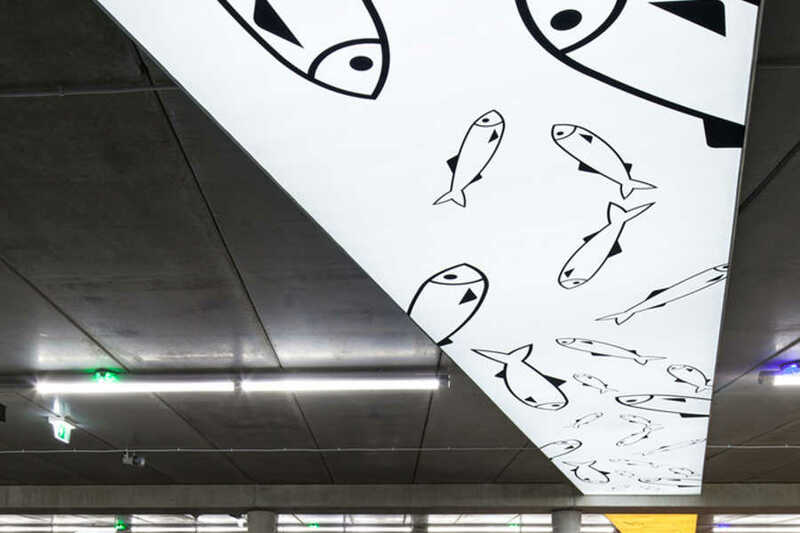 The guidelines from the masterplan required a consequent corporate image and integrated way finding. 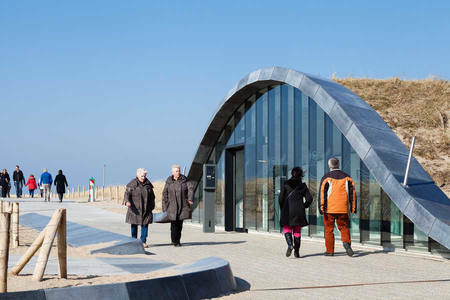 A ‘family’ of maritime-inspired icons and colours was designed in such a way to guide its visitors in a relaxed and natural manner towards either the centre of the town or the beach. 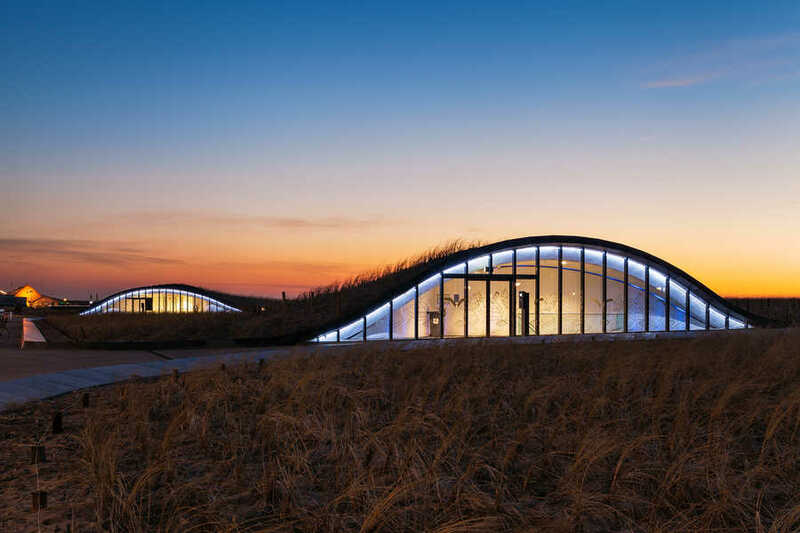 Winner: German Design Award 2017, IPI Award of Excellence 2017, BNA Dutch Best Building of the year award 2016, Prix d'Excellence 2016 Nederland, WAN Infrastructure Award 2016, Falco Award 2015, Rijnlandse Architectuur Prijs 2015. 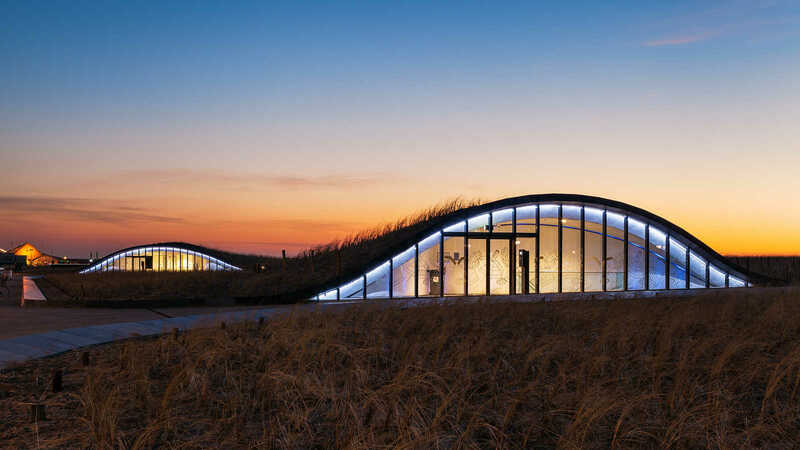 Nominations: Gouden Piramde 2015, Agemaprijs 2015, Mies van der Rohe Award 2017, Schreuderprijs 2017. Copyright photographs: Raoul Suermondt and Dirk Verwoerd.